•TSC is a static compensator. •TSC is use for compensating reactive power. •Compensation is required for voltage regulation, increasing stability, reducing loss, reduce voltage sag and voltage collapse. 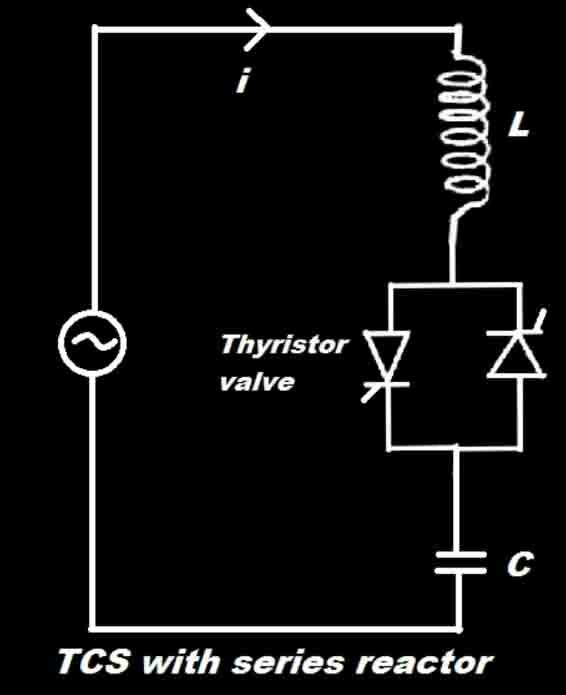 •TSC is consists of capacitor bank, reactor and thyristor valve. •TSC generate no harmonics and no filtering is required. •TSC is a component of Static VAR Compensator (SVC). •TSC is often used with TCR. •TCS can balance voltage and current to normal level. 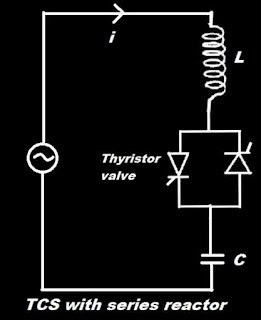 •Transmission system consist of both reactor (inductor) and capacitor elements which generate reactive power so by adding compensating device like TCS phase angle between voltage and current can be maintain.